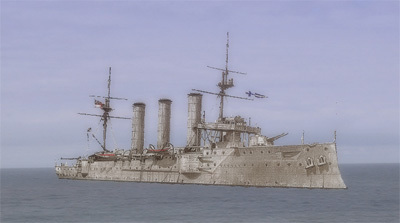 The British position in the Mediterranean—Fisher’s preference for the battle cruiser—the Anglo-French naval talks—the plan to evacuate the Mediterranean—a compromise is reached—the Mittelmeerdivision—Admiral Souchon—preparations for war—Goeben and Breslau rendezvous at Messina—the British Mediterranean Squadron—Admiral Milne —Inflexible visits Constantinople—the slow awareness of the gathering storm—Rear-Admiral Troubridge and the First Cruiser Squadron—events at Durazzo. Milne regroups his forces—the Admiralty ponders whether to reinforce the Mediterranean —the “superior force” telegram—Italian neutrality likely—the Admiralty ponders whether to denude the Mediterranean—Sailing Orders—Troubridge’s opinion of a superior force —a misunderstanding—Grey’s chickens come home to roost—the moral commitment to France—the Cabinet debates—the assurance to Cambon—Milne’s efforts to contact the French—Admiral Lapeyrère has second thoughts. Some clues as to Troubridge’s state of mind—Gloucester continues the chase alone— contact is lost—Milne returns to Malta—the puzzle – what are Souchon’s intentions?— the recall of Gloucester – Milne is called to account—the anomalous position of Austria —the strange case of the punctilious Admiralty clerk—confusion over signals—an unwarranted assumption—where was Churchill?—a final chance—intelligence is received —who is “Metriticicas”?—Milne’s doubts—reliable information? Churchill’s invocation of a higher authority—Churchill’s “if’s” considered—other “if’s” to be considered—the battle cruiser concept—French inaction—the problem of coal— Souchon and the Adriatic—Milne’s pre-conceptions—faulty staff work—Churchill’s early moves—the board changes—Battenberg’s unfortunate war—the Greek responsibility —the actions and omissions of Venizelos, Constantine and Kerr—a chain of events—fate or the work of man? 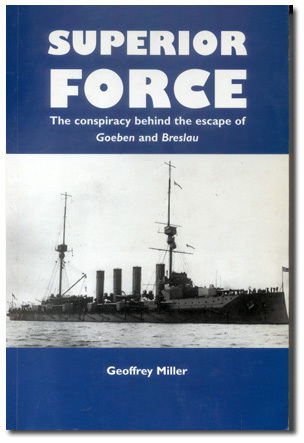 The dire military position—Enver is less assured—the Aegean Squadron—various contingencies—a moral raising demonstration—should the British have known?—Admiral Hayes-Sadler’s unfortunate decision—the separation of the British forces—Rebeur-Paschwitz frames his orders—dubious intelligence—the raid against Imbros on 20 January 1918—surprise is achieved—the damage inflicted—the aerial attacks—the minefield— Rebeur-Paschwitz’s blunder—Breslau is lost—Goeben marooned—further aerial attacks —a want of initiative—the efforts to refloat the battle cruiser—Goeben escapes again— aerial reconnaissance—the aftermath—Hayes-Sadler’s contentious apologia—analysis of the aerial operations—another reputation ruined—the end for Enver, Djemal and Talaat. i. The part played by the Opposition in the decision for war. ii. Identity of alleged British collier from which Goeben coaled, Messina, 4-5 August. iii. The Lost Day — Information received and processed in London on Sunday 9 August 1914.
v. Extracts from the Courts-Martial convened to investigate the sinkings of Raglan and M28. vi. 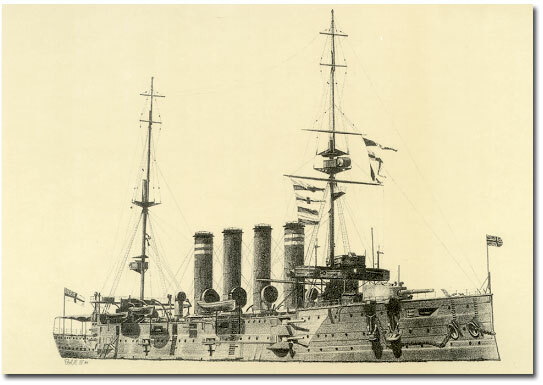 The reason for the absence of Invincible from the Mediterranean, 1914.
viii. Pre-war Activities of British Naval Intelligence.